The Opening game of SIGAL-UNIQA Balkan League season 2016/2017 went to SK Tirana. 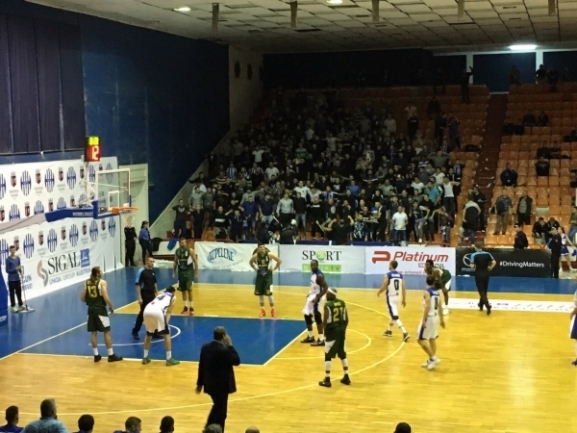 At home the team debuted in the competition beating a fellow newcomer KB Trepca 78-66. Both teams offered a good game and went hard to take the victory in their first ever match in the competition. However the hosts did a bit better when it mattered and their fans celebrated a deserved victory. Next week Trepca will host Karpos Sokoli while Tirana will visit Feni Industries. The hosts started a bit better and had the early lead. Trepca however stayed close until the end of the first quarter and in the first minutes of the second went in front. Then however Tirana responded with 13-0 run to take a 10-point advantage which also didn′t last long. Trepca manged to close the gap to only 2 points in the last minute of the first half before the hosts scored to be up by 4 after it finished. Shortly after the third period started Tirana made a 9-0 run to increased the lead to 11 in the middle of it. In the next minutes the team kept its advantage but Trepca didn′t give up. Still after the quarter ended the hosts led by 7 and stayed up in the fourth as well. With two minutes to go the visitors cut the deficit to 4 points but the hosts responded. The scored the next 8 points and celebrated their first win. Endrit Hysenagolli was the top performer for the home side with his 25 points and 9 rebounds. Manuel Johnson also played well with his 21 points as Griffin Ramme added 11 points, 8 rebounds and 4 assists. Frederic Stutz had 14 points for the visiting side while Jeremy Wise added 12 and 7 assists.